Content is also one of the major factors that affect the page ranking of a website so it is a must that every owner of websites should take this into account. Readability of the text is another thing and if the admin of the website uses too many fonts in a single page, this will decrease visitors and at the same time decreasing the page rank. This is all part of the SEO strategy and with keywords; it will make your website look more amazing. Today many website owners set their eyes on WordPress, one of the most popular CMS which happens only to be a blogging platform. Many developers make use of the WordPress development and take advantage of the amazing features WordPress has to offer. With the added plug-ins that are almost freely available in the website, it will make it look more amazing. WordPress comes with themes, both free and for purchase. 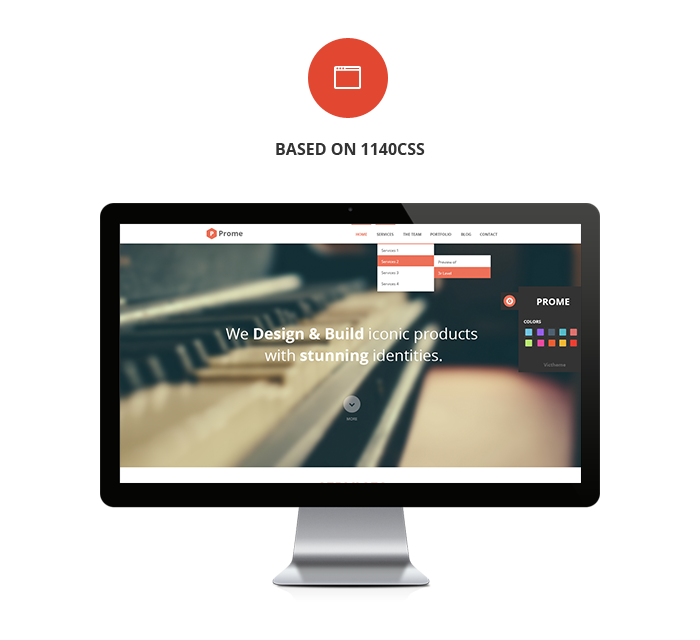 Purchasing themes for your website is preferable for most website owners because it has more features and amazing effects compared to free ones where you will still need to tweak its design. 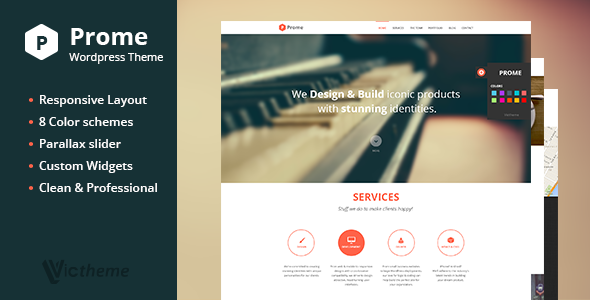 The Prome theme is a one page WordPress theme that has a lot of amazing features. What makes this theme amazing is that it is a one page theme. 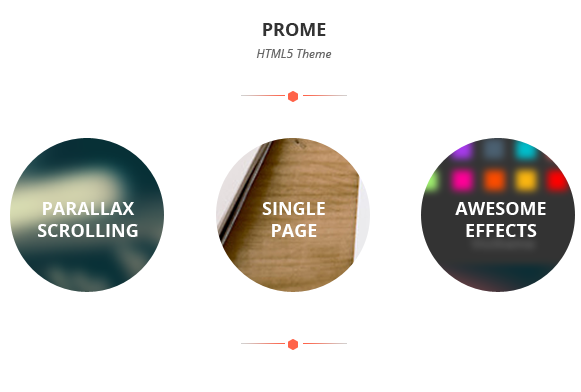 • The main feature of the Prome is its amazing slider effect. If you have observed with the new trend with that is coming today in some web design style, one page with slider effect is most popular. All the user needs to do is to navigate the page down and all that they need to see in a website will be displayed in an animated effect. Depending on the style the owner of the website has in mind, it all does the same thing by sliding the content when the user navigates. Just imagine a power point presentation all in one page. 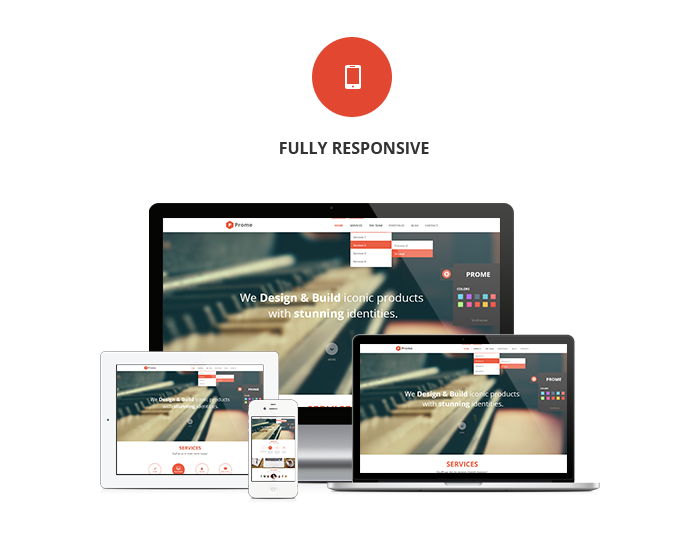 • It is a fully responsive WordPress theme so it will adapt to any screen resolution whether it be a desktop PC, laptop, a tablet or a smart phone. • The theme is created based on the 1140CSS; it gives the theme its creative look and beautiful design. • This is a great choice for companies who want to showcase their portfolio in a website. It has a plugin that displayed portfolio in gallery mode. Website owners just need to create a portfolio and upload the images they need to display and fill up the information with it. For single page portfolio, the image can be set as the banner for it. Aside from the amazing effects that make this theme standout, it has other plug-ins that you can find that makes it an amazing web design.